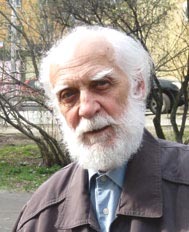 Vladimir Bushuev was born 14 of May 1934 in Sverdlovsk, USSR. Studied at Sverdlovsk College of arts (1952-1955 years) and at the Leningrad Institute of painting, sculpture and architecture named after I. E. Repin (1956-1961 years). His teacher was people's artist of the USSR corresponding member of the USSR Academy of arts I.A. Silver. Vladimir Bushuev is regular participant of republican and regional exhibitions since 1962. He is a member of the Union of artists of Russia since 1967. Since 1961 he lives and works in the city of Ekaterinburg (Russia).